This 2019 Manitou Flip is as luscious as they get. This boat is Caribou in color and is powered by a Evinrude 300 HP G2 with a 10 year warranty if purchase before March 31st. 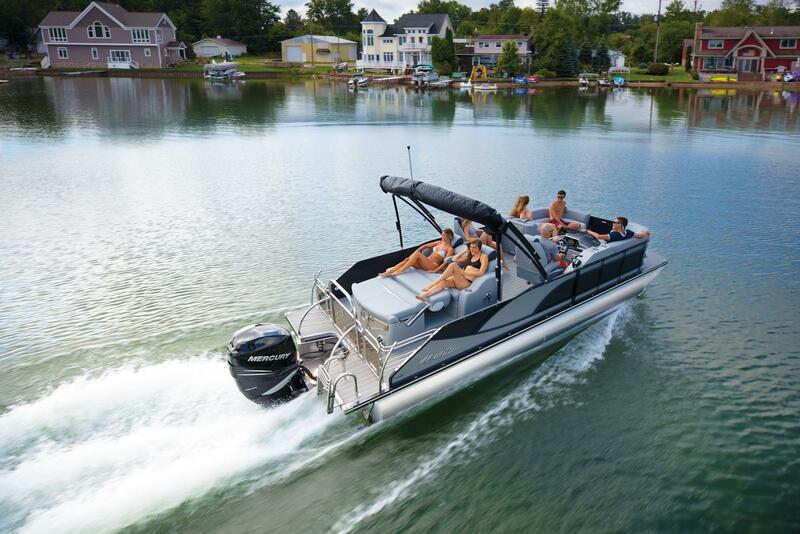 Boat is over the top in bling and is a great pontoon to get you and your friends and family out on the water. Power bimini, Kicker upgraded stereo and LED galore. A must see, in the showroom so come check it out!